Magic Cinema Technology Eye-popping Blu-ray 3D Visual Excitement Supports the latest Blu-ray 3D technology for life-like movie experiences with Cyberlink PowerDVD 10. Features technology to give depth to 2D video with real-time 2D-to-3D conversion with a single click of a button. Refresh Your Listening Experience Experience crisp audio with lossless pass-through for Dolby Digital EX and DTS-HD (5.1 channels). Aesthetics of Technology Diamond-shaped Design and Flexible Dual Positioning This unique space-saving design can be placed either horizontally or vertically with a detachable stand. 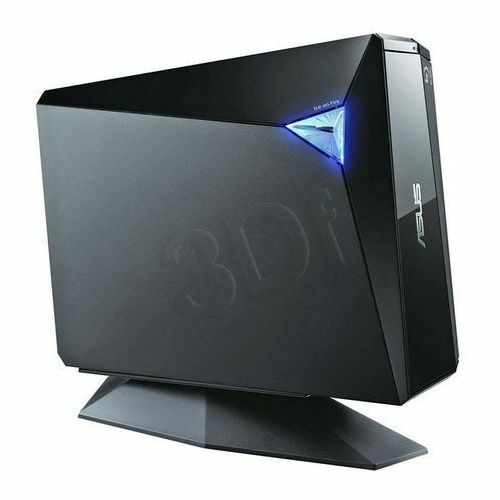 Experience Blu-ray Entertainment So True to Life ASUS provides HD-like visuals via an innovative suite of advanced video enhancement technologies that deliver unsurpassed quality in DVD movies easily and flexibly.